UK Dog Training Blogs List. The Best UK Dog Training Blogs from thousands of UK Dog Training blogs on the web using search and social metrics. Subscribe to these websites because they are actively working to educate, inspire, and empower their readers with frequent updates and high-quality information. UK Dog Training newsletter is a comprehensive summary of the day's most important blog posts and news articles from the best UK Dog Training websites on the web, and delivered to your email inbox each morning. To subscribe, simply provide us with your email address. Facebook fans 886. Twitter followers 485. Scotland UK About Blog Canine Principles is an online, skills and knowledge, development school, specialising in dog skills for humans. We offer a range of courses on a variation of canine topics. Facebook fans 17,959. Twitter followers 412. Facebook fans 885. Twitter followers 139. Bedofrdshire, England About Blog Labrador Training HQ is a website created to help Labrador Retriever owners worldwide with: Labrador training, Labrador health and care, behavior problems and general breed information. For Labrador obedience training, house training, crate training, health and everything you need to know to live with and care for Labradors and lab puppies. Facebook fans 51,602. Twitter followers 1,552. UK About Blog Hi, I am Caroline Griffith. My purpose is to share teachings of a heart centered, emotion and energy based choice in Dog Behaviour and Training. A choice that brings a dog's feelings and emotions to the forefront, as the first thought when training or understanding behaviours. A choice that explains the true motivation and influence behind all behaviours. Facebook fans 3,095. Twitter followers 424. Hammersmith, London About Blog Blogs by The Office Dog and friends. It's about time to work with your dog. Dog Training, Puppy Training & Walking Masterclasses for the dog in your lifestyle. Private sessions in the comfort of your own home. Facebook fans 112. Twitter followers 359. Hampshire, UK About Blog I am Sarah. For the past 10 years, I have been dog training full-time in the picturesque village of East Meon, Hampshire, and currently have 12 dogs of my own. Facebook fans n/a. Twitter followers 301. London, England About Blog Oli is a Dog Trainer & Behaviourist covering most of London offering 1-to-1 Training sessions in your home or office using only positive reinforcement methods. Oli is a Clever Dog Company Method, Licensed Trainer. View Oli's Latest Blog on a Dog theme, from Training tips and latest Dog Wear to places to eat with your Dog. Facebook fans 1,866. Twitter followers 1,044. Kettering, Northants. U.K About Blog Welcome to Watch my Chops, positive dog training by excellence. We provide useful discussions and experiences on Dog Training ranging from puppy training to how to have a well behaved dog when out and about and how to have fun with your dog and lots more. Facebook fans 1,531. Twitter followers 582. Cardiff About Blog Philippe is an experienced and respected dog and puppy trainer based in Cardiff, offering personal in-home obedience training for you and your dogs. As a dog behaviourist he has an outstanding track record of developing lasting changes in the most demanding of dogs. He enjoy working with puppies as well as older dogs who have more deeply set habits- it turns out, you can teach an old dog new tricks! Facebook fans 2,083. Twitter followers 2,870. 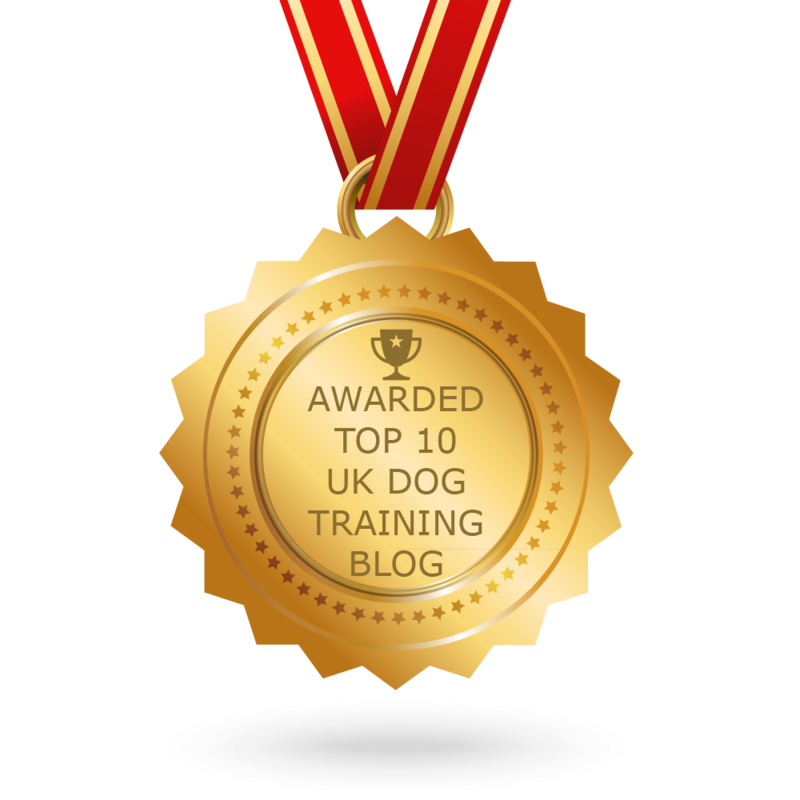 CONGRATULATIONS to every blogger that has made this Top UK Dog Training Blogs list! This is the most comprehensive list of best UK Dog Training blogs on the internet and I’m honoured to have you as part of this! I personally give you a high-five and want to thank you for your contribution to this world.